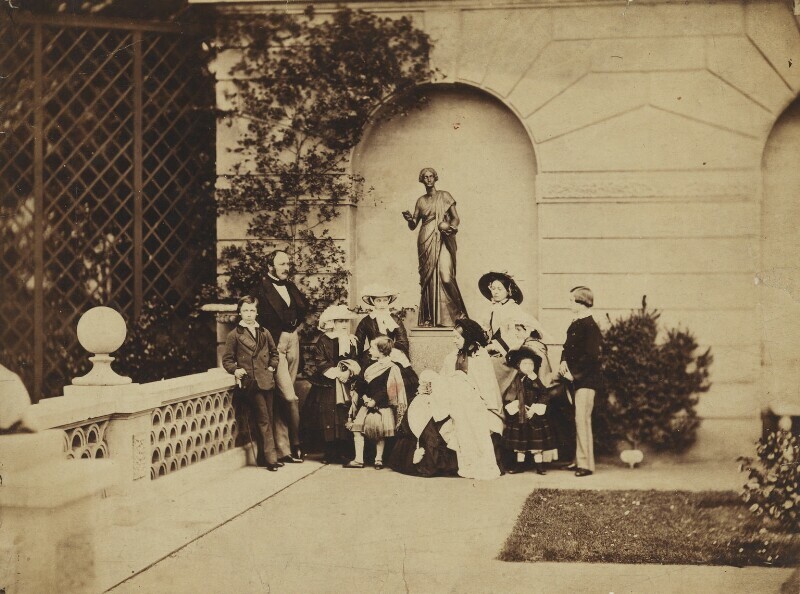 This portrait group shows Victoria and Albert and their nine children at Osborne House. Victoria holds Princess Beatrice on her lap. The photograph was shown at the London Photographic Society's exhibition in 1858, and was praised for its domestic character. Caldesi was a Florentine photographer based London.